You Decide The Closing Date. We’ll Pay All The Costs! 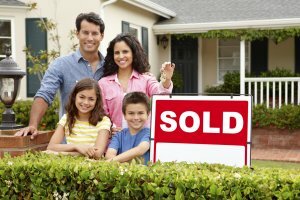 We Buy Houses Tulsa County And Statewide throughout Oklahoma, At Any Price. Check Out How Our Process Works. We’ll Work With You To Solve Your Problem, And Give You A Fair Offer For Your Home. Need to sell your house fast? You’re in the right place. We buy houses in Tulsa, and Statewide throughout Oklahoma. If you want to sell your Tulsa home fast… we’re ready to help you solve your problem, and give you a fair all-cash offer today. End the headaches of your unwanted property. Let us buy your Tulsa house now, regardless of any repair needs. Have you Inherited a Home that you don’t know what to do with? Facing foreclosure? Divorce? Relocating? Upside down in your mortgage payments? 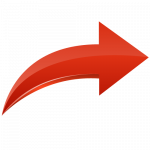 Dealing with Liens? Taxes? Basically, if you own a property and need to sell it for whatever reason… we’d like to discus how we can help, and make you a fair cash offer and can close on it as fast as you need, when you’re ready to sell. We buy houses in Tulsa, and throughout Oklahoma and we help property owners just like you, in all kinds of situations. We understand that selling a home can be daunting task. It’s often a time consuming and stressful process. Many homeowners are so busy that they simply don’t have the time to do all of things required to prepare a house to sell on the market. It doesn’t matter whether you live in the property, it’s rented it out to tenants, it’s vacant, or not even habitable. We will buy Tulsa area homes in Any Condition. We’ve helped many homeowners who have inherited unwanted homes, own vacant houses, are behind on their mortgage, owe taxes abd liens, downsized, or been relocated for work and can’t sell… even if the property needs lots of repairs that you can’t afford… and yes, even if the home is fire damaged or has bad rental tenants who do not pay. We Buy Houses Tulsa, or Statewide in Oklahoma – Avoid the hassle of realtors, repairs, and months of uncertainty. You Can Skip The Entire Listing Process And Simply Sell Your Home To Us! Perhaps you’ve tried to sell your Tulsa house but are running into roadblocks. You probably even tried calling a real estate agent. Sometimes selling a home the traditional way with a real estate agent is simply not the best option for families. We are not Realtors; we are professional investors and cash home buyers and we buy houses in Tulsa. 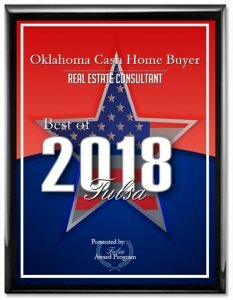 We have the real estate knowledge, legal resources, and funds available to fix most real estate problems, that includes buying your Oklahoma house for cash. We Buy Houses in Tulsa For Cash. Save Time, Avoid Commissions And Fees. There Is No Risk Or Hassle! The average homeowner thinks of selling their home with the help of an agent, but there are actually 3 different ways to sell your home. Discover what the three ways are and know your options by clicking here. We are the premier “We Buy Houses Tulsa” home buying company. We are a local firm with years of experience and over that period we have worked with many sellers who needed to sell their homes quickly for a fair price. Yes…we buy houses Tulsa for cash and we’d love to make you a fair all-cash offer for your home regardless of your situation or the condition of the property. We buy houses Tulsa as-is and can help you get rid of that burdensome property no matter what the condition is. If the house is in terrible shape and you don’t want to (or can’t) fix it up… NO problem, we’ll buy it AS-IS. If you need to get something done quickly, we can close in as little as 2 weeks because we buy houses with cash and don’t have to rely on traditional bank financing. IMPORTANT! Other so called “Local’” Home Buyers claim they can buy your Oklahoma house in 7 days. Don’t believe the hype because that is simply not true. In the state of Oklahoma, we are an abstract state and it typically takes 2-3 weeks for attorneys to update the files to clear title transfers. That’s why it’s beneficial to work with a reputable company that is local and who understands the local market. We are experienced and local real estate professionals committed to fulfilling our clients’ needs rapidly while making the process as simple and hassle free as possible. We Buy Houses Tulsa Our company is great to work with because we can move quickly and pay cash for homes that we buy. While these two reasons are enough to motivate most sellers like yourself, here are a few more reasons to sell your house to us. We help property owners just like you, in all kinds of situations. From divorce, foreclosure, death of a family member, burdensome rental property, and all kinds of other situations. We buy houses Tulsa and surrounding areas throughout Oklahoma and pay a fair cash price, fast. Sometimes, those who own property simply have lives that are too busy to take the time to do all of things that typically need to be done to prepare a house to sell on the market… if that describes you, and your thinking “I just want to sell my house fast”, just let us know about the property you’d like to be rid of and sell your house fast for cash in Tulsa, or Statewide in Oklahoma.